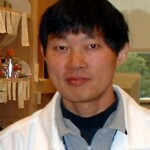 Guiliang Tang joins the faculty as associate professor. He comes to Michigan Tech from the University of Kentucky. He holds a PhD in Plant Biochemistry from the Weizmann Institute of Sciences, an MS in Plant Breeding and a BS in Agronometry from Anhui Agricultural University. Tang has been published in the International Journal of Data Mining and Bioinformatics, the American Journal of Pathology, Physiologia Plantarum and Plant Molecular Biology, among others. 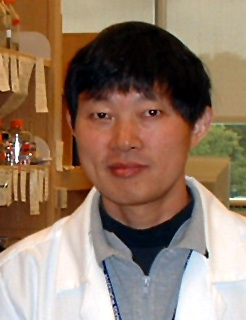 He is a member of the RNA Society and the American Society of Plant Biologists. Purnima Bandyopadhyay joins the faculty as research assistant professor. She comes to Michigan Tech from the Albert Einstein College of Medicine. She holds a PhD in Molecular Parasitology from the University of Calcutta and has done postdoctoral work in bacterial pathogenesis at the Albert Einstein College of Medicine. Bandyopadhyay has been published in the Journal of Parasitology, the Journal of Bacteriology and the Journal of Protozoology Research, among others. She is a member of the American Society for Microbiology. Erika Hersch-Green joins the faculty as an assistant professor;She is from North Carolina State University, where she recently completed post-doctoral training. She will bring exceptional strengths in evolutionary, plant and quantitative biology to the Department.